LUBBOCK, Texas – The Lubbock Chamber of Commerce will hold the 2018 Harvest Luncheon on Thurs., Oct. 4 at 11:30 a.m. at Plains Cotton Cooperative Association, 3301 E. 50th St. The Harvest Luncheon celebrates agriculture in our local economy, features current issues and is the “crown jewel” of the Chamber’s Agriculture Committee. Our keynote speaker is Dr. Jeff Johnson, an Extension/Research Professor and Center Head of the Mississippi State University Delta Research and Extension Center in Stoneville, MS. Prior to his position at Mississippi State University, he held a joint appointment as an Associate Professor with the Department of Agricultural and Applied Economics at Texas Tech University and the Texas AgriLife Research and Extension Center. Dr. Johnson’s research interests include farm management, irrigation economics, and water policy. He received his Bachelor’s degree in Animal Science and his Master’s degree in Agricultural Economics from Texas A&M University. 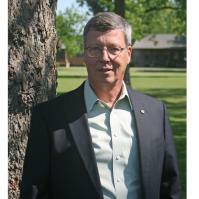 Dr. Johnson then earned his Doctorate degree in Agricultural Economics from Texas Tech University. Tickets for the luncheon are $40, and Chamber members receive a discounted rate of $30. Reserve your seat online here or call the Lubbock Chamber office at (806) 761-7000. A few sponsorships are still available. Contact Kyle Jacobson at Kyle.Jacobson@lubbockbiz.org for more information.